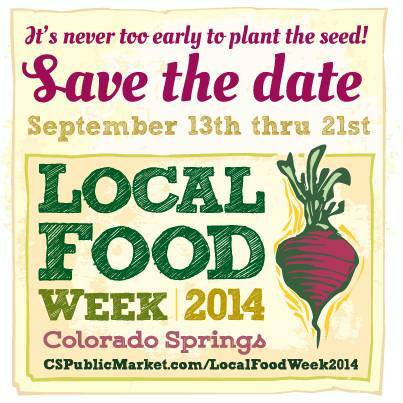 Coming soon… Local Food Week! THE SCOOP: Ranch Foods Direct is joining together with local farmers, businesses and organizations (including the Colorado Springs Public Market Project, Seeds Community Cafe, the Green Cities Coalition, Pikes Peak Permaculture and many, many more) to host a local food extravaganza throughout the city Sept. 13-21. The 2014 rendition of Local Food Week will consist of multiple events in multiple venues, offering fun and diverse ways to learn about locally produced food and its importance to the local community.